Alison Canavan rose from the depths of postpartum depression and anxiety to a place of gratitude, self-compassion, and presence. Her rollicking conversation with Hunter moves from mindfulness to mother’s guilt, to body self-image, to judgments and more, but through all of it runs a vein of starting on the inside. You can’t avoid the work. There are no shortcuts. Healing is an accumulation of small things that you do. We only get answers through quiet. When you’re not giving yourself any silence, you can’t grow. 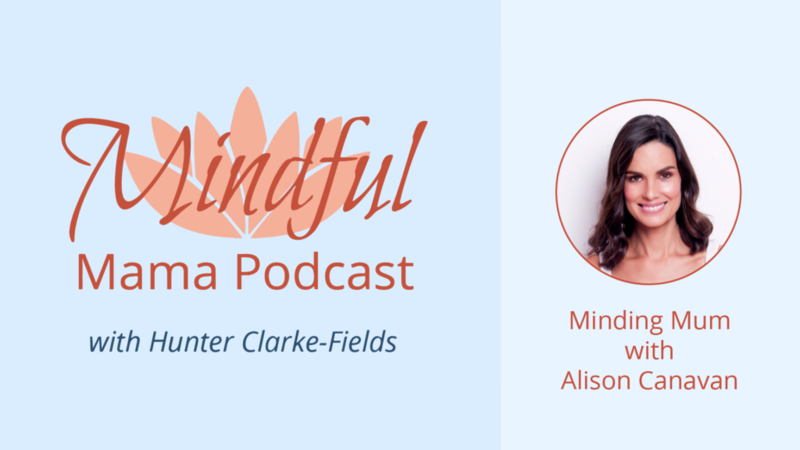 Alison Canavan is an award-winning author of wellness book “Minding Mum”, a health and wellness coach, Master NLP Practioner, motivational speaker and mindfulness facilitator. Having traveled the world as one of Ireland’s most successful international models for nearly two decades, in recent years she has devoted her time to her greatest passion: true health and wellbeing. P.S.The revolutionary Mindful Parenting course is open for enrollment!